A basement can be useful for many different things, depending on your lifestyle, including storage. However, if your basement has become just one giant "junk drawer," than it is not being put to its best possible use and you need basement cleanout in South Bend, IN. 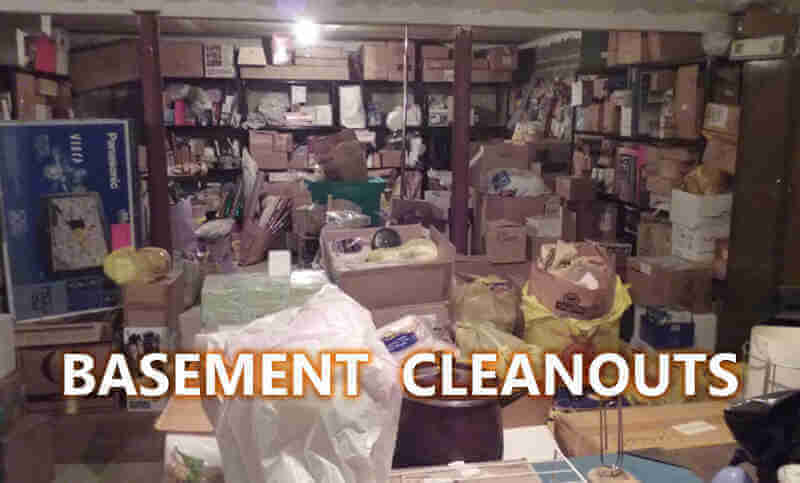 ​A nice thorough Basement Clean Out can make your basement the best place to be, not just a pile of things you don't really need taking up valuable space. Getting all the junk out can be a big job, but if you break it down into more manageable steps, you'll be planning out ways to use your new room in no time.Keep Only What You Need.It can be tempting to use your basement to store every little paper or knick-knack you think you'll want in the future. Consider how refreshing it would be, though, to have a nice large space free from the clutter that can bog you down. Bearing in mind the virtues of simplicity, make the choice to trash what truly is trash. You can get basement cleaning prices from South Bend Junk Removal. There is a good chance that the to-trash list will be a lot more extensive than a few bags worth. Find a good professional basement cleaning services in South Bend, Indiana to rent a dumpster from. This way you have the convenience of having someone else take it away for you, and you won't even need to worry about exceeding weekly trash pickup limits. ​If you do your research, some companies will also pick out what is recyclable or reusable and recycle/donate to charities those items for you. That's like killing four birds with one stone, not just two! Make Piles.Which things do you want to leave in the basement? Which do you want to give away? Which have homes elsewhere in the house? To make going through the chaos a little more efficient, put these things into designated piles, and the transport the goods once you're done. Moving piles to the right spots in the house can be a good way for the kids to help out too!Get Organized.After you have tackled your trash issue and removed anything that just doesn't belong in that section of the house, work with the much more manageable mountain that you're left with. If you haven't got any already, invest in some large plastic storage containers. These are great for things like seasonal decorations and winter clothing; they keep these items out of the way and make them easier to find when you need them (remember to label the boxes!). Consider adding shelves for the smaller stuff and be sure to clean up down there every once in a while, so it doesn't get out of control again. Contact Bend Junk Removal for the basement cleaning services. South Bend Junk Removal service experts serve you with varied services, select and hire them according to your needs at affordable cost. Hire our cleaning services for a healthy and spacious environment to your kids and family.